Tiger Woods resumes his PGA Tour schedule at the WGC-Dell Technologies Match Play at Austin Country Club in Austin, Texas. Woods is coming off a middle-of-the-pack 6-under finish at The Players Championship two weeks ago. He has just one top ten finish so far this year, which came at the WGC-Mexico. The WGC-Dell Technologies Match Play works a little different than most PGA Tour tournaments, since the format is match play rather than stroke play. The first three rounds Wednesday through Friday consist of pool play, with 16 groups of four playing round-robin matches. Each group’s winners move on to a single-elimination bracket over the weekend, with the top 16 being whittled down until the championship match produces the winner. It’s a fitting format while in the midst of the NCAA Tournament. Woods — who will be playing in the WGC-Match Play for the first time since 2013 — has won the tournament three times in his career, more than any other golfer since the tournament’s inception in 1999. Bubba Watson bested Kevin Kisner in for the title in 2018. Here is everything to know about the 2019 WGC-Match Play, including the TV schedule, tee times, and odds. You can also follow our live leaderboard for hole-by-hole updates from the tournament. The first three rounds will be broadcast exclusively on Golf Channel. NBC picks up national coverage Saturday and Sunday. You can also live stream the WGC-Dell Match Play by signing up for fuboTV, which offers a free seven-day trial. Woods will not golf on Sunday after being eliminated by Lucas Bjerregaard in the quarterfinals on Saturday. 4 9:30 a.m. ET Rory McIlroy …..
5 2:10 p.m. ET Lucas Bjerregaard …..
Who else is in the WGC-Dell Match Play field? The field will be made up of 62 of the top 64 players from the World Golf Rankings, with the seeding determined by their ranking. In addition to Woods, Watson and Kisner, Valspar Championship winner Paul Casey and The Players champ Rory McIlroy will be a part of the field. They will be joined by the likes of world No. 1 Dustin Johnson, Justin Rose, Francesco Molinari and Phil Mickelson, who have all won PGA Tour events in 2019. There will be two matches of two on Sunday, with the winners advancing to the championship. You can find a full list of Round of 16 tee times here. All four WGC events are known for their large purses, and the WGC-Match Play is no exception. The total purse is $10,250,000 and the winner will pocket around $1,700,000. 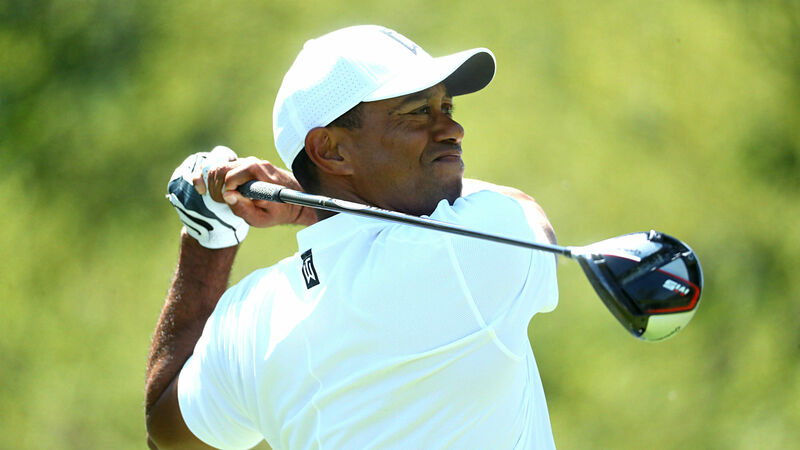 Johnson and McIlroy are co-favorites to take home the victory, with Woods appearing further down the list at +2200. You can find the complete list of betting odds via OddsShark. Is this Video of Terrell Owens Running A 4.4 40 Legit?